The idea for this image was to isolate the model and emphasize loneliness. The image of the was kept small to further emphasize isolation from her surroundings. For this image the model had to remain virtually motionless for 15 seconds. This image was shot on Kodak Tri -X Professional 120 film and developed in a staining developer. The negative was scanned into Lightroom where it was cropped . 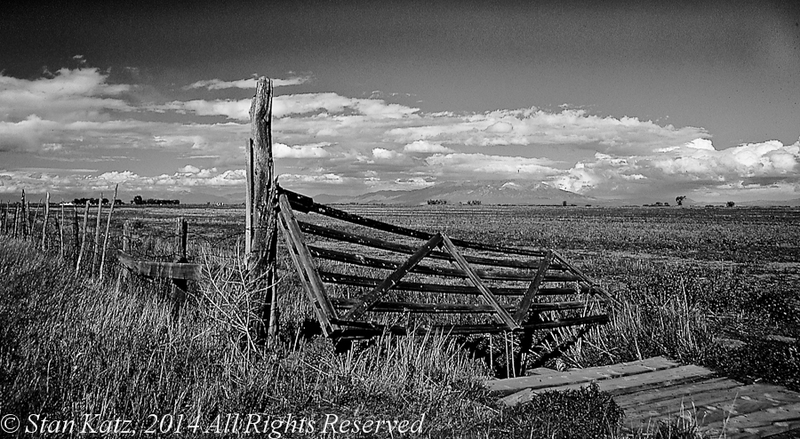 This image is of angry clouds in the distance creating drama in this image of a dilapidated fence. This was shot on Ektachrome G100e slide film. It was scanned into Lightroom where the contrast and exposure were adjusted and the image was rendered to Black & White via a preset. The Image was cropped slightly. Two lights were used, one was placed on the right of the frame and slightly in front of the model and one on the left of the frame even with the model. This was done to illuminate the model’s side and most of the model’s back. I decided this image, from a series of images of my model on a box, would work well with a softer focus. I turned the autofocus on the camera and lens off so after focusing I could back off a little and create a softer smoother image. One light was used, it was placed to the right of the frame and a little in front of the model. The light was placed so the model would illuminated from one side while the rest of her body would in shadow. This is a digital image processed in Lightroom. The contrast and exposure were adjusted and the image was rendered to a Black & White via a Lightroom Preset. The image was cropped slightly. This image is of angry clouds approaching, creating drama as we wait for the thunder and lightning and of course a downpour. I looking out over a lake on an overcast day and saw a muted reflection on the water and knew it would be perfect for another in my series of antique postcard images. This was shot on a Ektachrome G100e slide film. It was scanned into Lightroom where the exposure and contrast were adjusted. 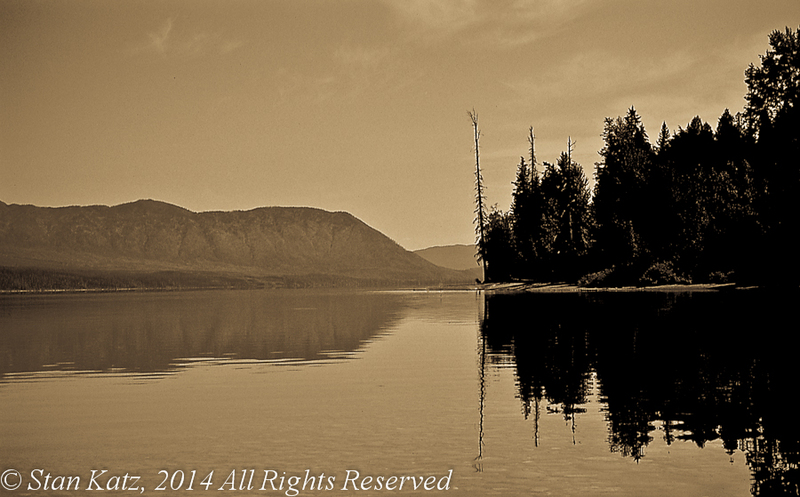 The image was rendered to a monochrome via a Lightroom preset and was cropped slightly. Notice the long curving line of the model and how elegantly she stands. One light was used, it was placed to the right of the frame and a little in front of the model. The light was placed so the model would illuminated from one side while the rest of her body would fade into the shadow and cast a shadow on the background. This is a digital image processed in Lightroom. 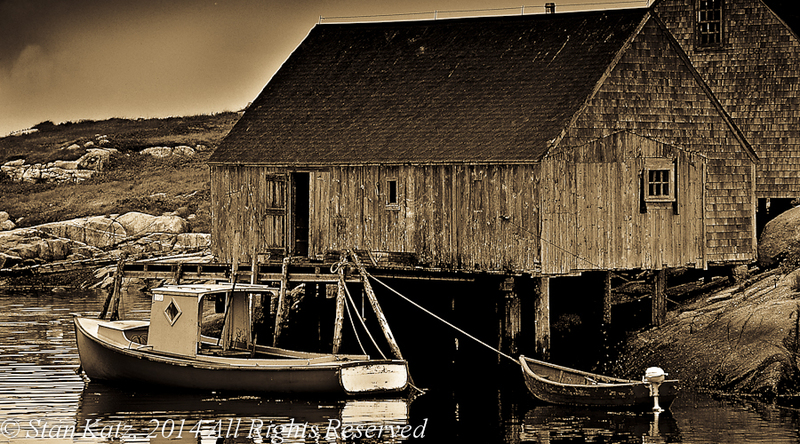 The contrast and exposure were adjusted and the image was rendered to a Black & White via a Lightroom Preset. The image was cropped.